This book documents the focus on a branch of Riemannian geometry called Comparison Geometry. The simple idea of comparing the geometry of an arbitrary Riemannian manifold with the geometries of constant curvature spaces has seen a tremendous evolution of late. This volume is an up-to-date reflection of the recent development regarding spaces with lower (or two-sided) curvature bounds. The content of the volume reflects some of the most exciting activities in comparison geometry during the year and especially of the Mathematical Sciences Research Institute's workshop devoted to the subject. Both survey and research articles are featured. Complete proofs are often provided, and in one case a new unified strategy is presented and new proofs are offered. This volume will be a valuable source for advanced researchers and those who wish to learn about and contribute to this beautiful subject. 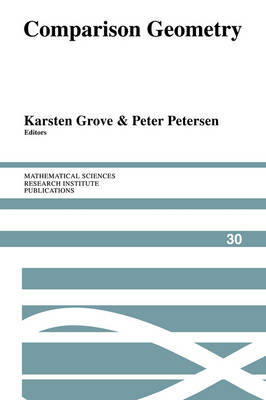 Buy Comparison Geometry by Karsten Grove from Australia's Online Independent Bookstore, Boomerang Books.